Next story in Hurricanes Archive New Orleans waters not as dirty as feared? 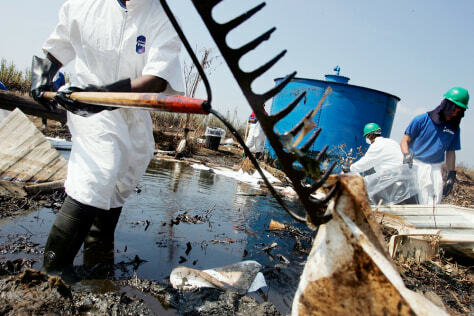 Cleanup crews use absorbant pads to collect crude oil Thursday in a canal in Port Sulphur, La. The port is along the Mississippi River, where the largest of three dozen significant spills are located.